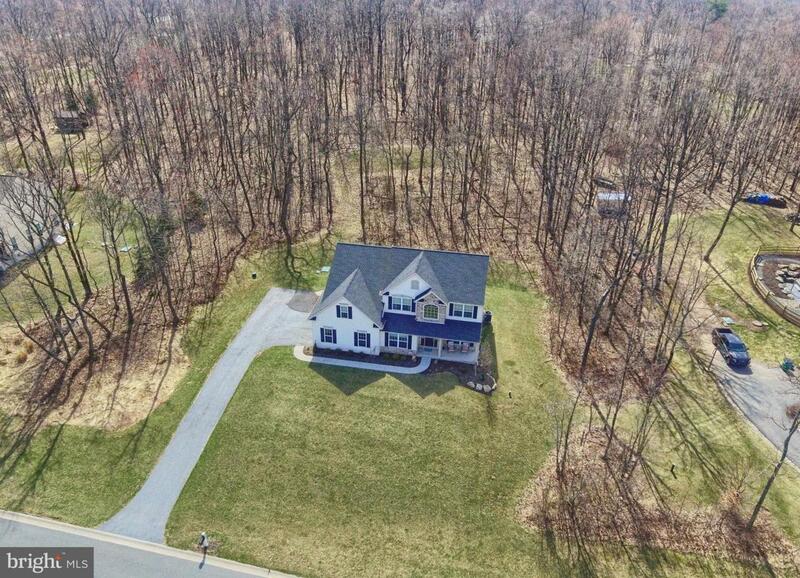 Welcome to Quaker Hill, where you will find fine homes and large private wooded lots. 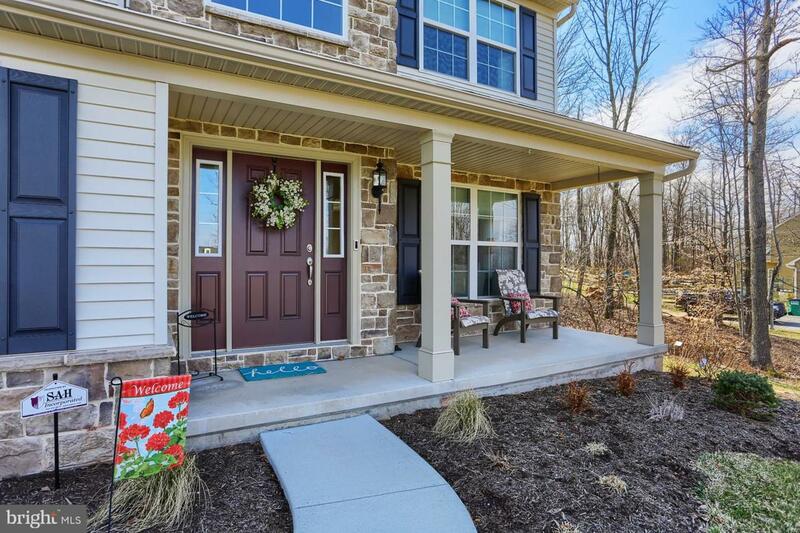 This Savannah Model Built By Berks homes is situated on a large 1.4 Acre Wooded lot. The Savannah Model has the largest bang for your buck and these sellers have spared no expense on custom upgrades inside and out. As you approach the front of home, you will be welcomed by a covered front porch which opens to a 2 story foyer with hardwood throughout. 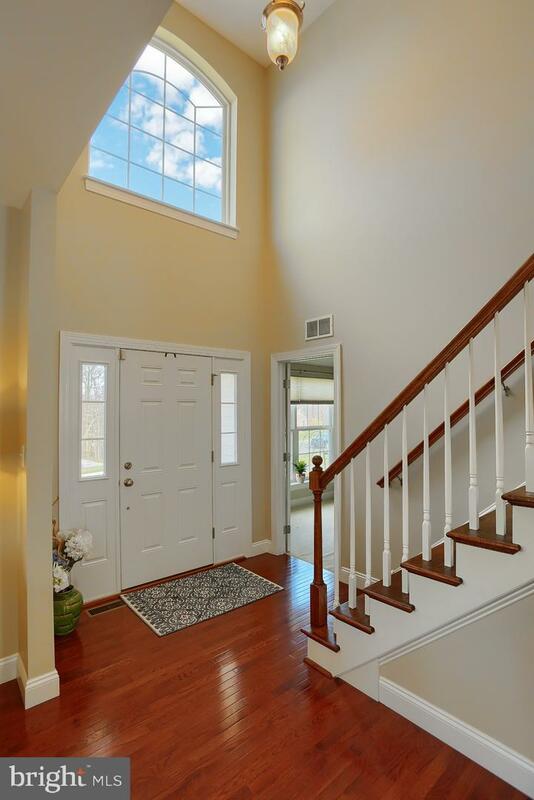 There is a private office on left, to the right you will find the formal living room and dining room which flows to Kitchen, Family Room, Breakfast Room and Sunroom. Gourmet Kitchen with White Cabinetry, Granite Counter Tops, large island, tiled backsplash, and all stainless steel appliances remain. Kitchen opens to Morning Room with Breakfast Bar that overlooks the back yard and patio. Large Family room makes it easy to have many guests over at one time. You will love the large walk in pantry. Upstairs you~ll find a large master suite with sitting room and super sized bath with tiled shower, soaking tub, double bowl vanity and tiled floors. The Best is the 2nd Floor Laundry. 3 More Bedrooms and hall bath finish the 2nd floor. The basement is unfinished with an exterior wilco door, just awaiting your personal touches. Other Upgrades Include: Generac Automatic Generator, Propane Heat with Heat Pump back up, New Paver Patio, Hardwood Floors Throughout first floor. All in the Beautiful Neighborhood of Quaker Hill. 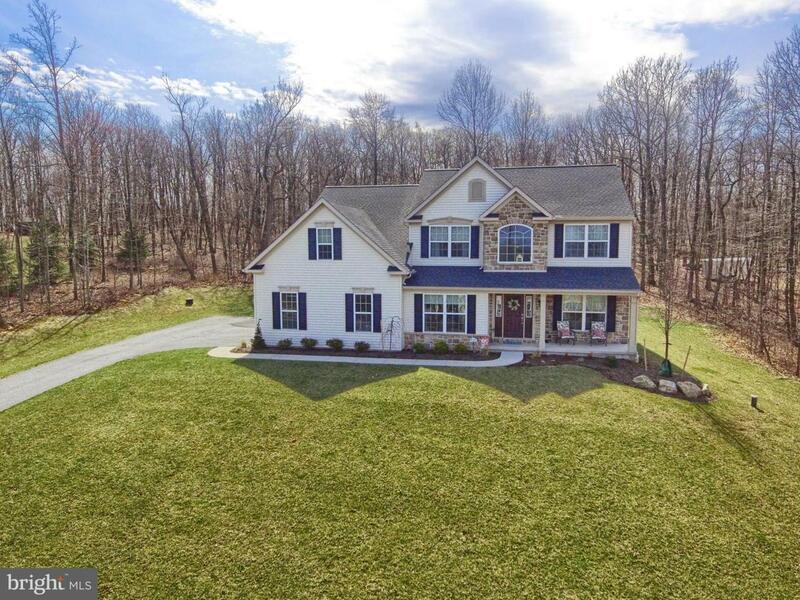 Located minutes from PA Turnpike, 176, 422 and 222. Twin Valley Schools, Robeson Elementary School.